This past weekend JD and I and some friends went up to Vermont for a ski weekend. The trip wasn't exactly what we had originally planned it to be, but I got to make jiffy pop for the first time and JD re-watched a couple episodes of Parks & Rec with me so that was nice. I can tell you that it will not be happening again, the trip, not the parks watching. I think he's starting to get hooked. With that group, things never quite go as planned. There's lots of bailing all around, all the time, for everything. It's frustrating. I'm always shocked when they all show up for weddings. I have been neglecting my camera and subsequently didn't take very many photos. So here is a very limited photo recap of the weekend. This little guy made a home in the snow piled on top of what is in warmer days, a flower box. 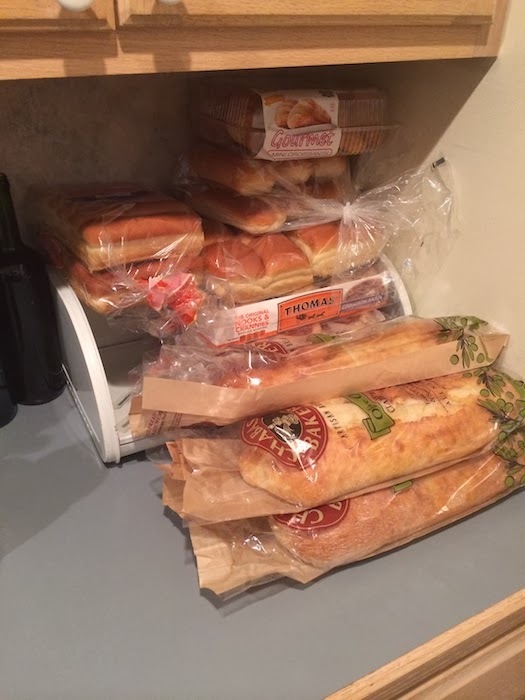 The boys were convinced that eight people definitely needed this much bread and that it would all be gone by the end of the weekend. You can't see it, but the bread box is filled with english muffins. They were in fact, incorrect. No one needs that much bread. JD and I went out to dinner at a cute inn that we visited on last years trip but it ended up being very disappointing. I snapped this picture before dinner. We couldn't leave fast enough afterwards. Everyone decided to leave a day early, so JD and I made breakfast for dinner in effort to clean out the fridge a bit so we wouldn't have to carry so much of it home with us. It was wonderful. Please excuse my very messy hair. I had no idea that giant bump was there until after JD took this picture. 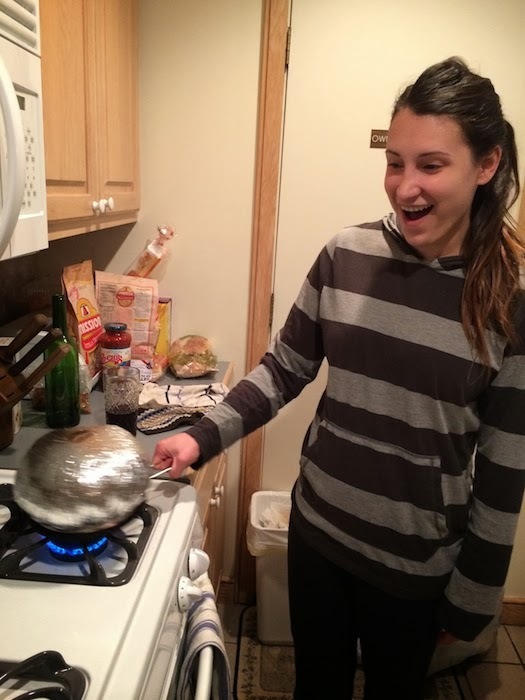 As you can tell, I was very excited about the jiffy pop. And that about sums it up... and it's Wednesday already.